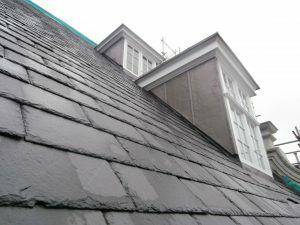 Balfour Beauty Limited, 5000 Lakeside, Cheadle Royal Business Park, Cheadle, Cheshire, SK8 3AX. Senior Project Manager Mike Burrow. 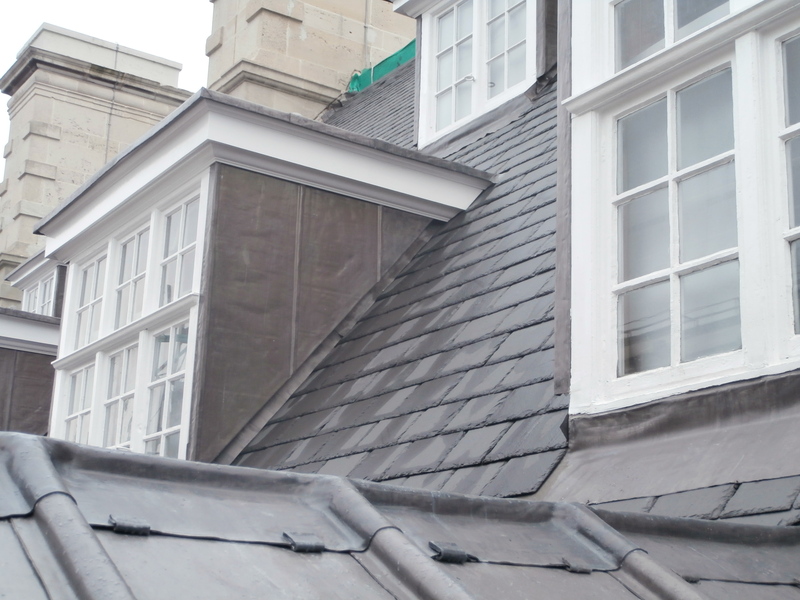 FCH, 12 Temple Street, Liverpool, L2 5RH – Architect responsible for project Neil Hambleton. 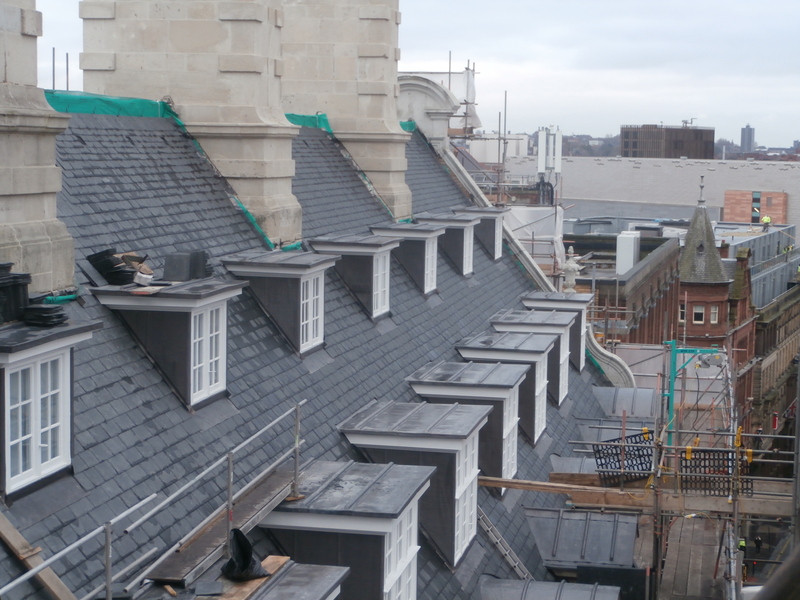 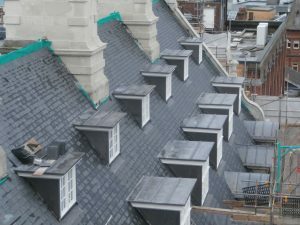 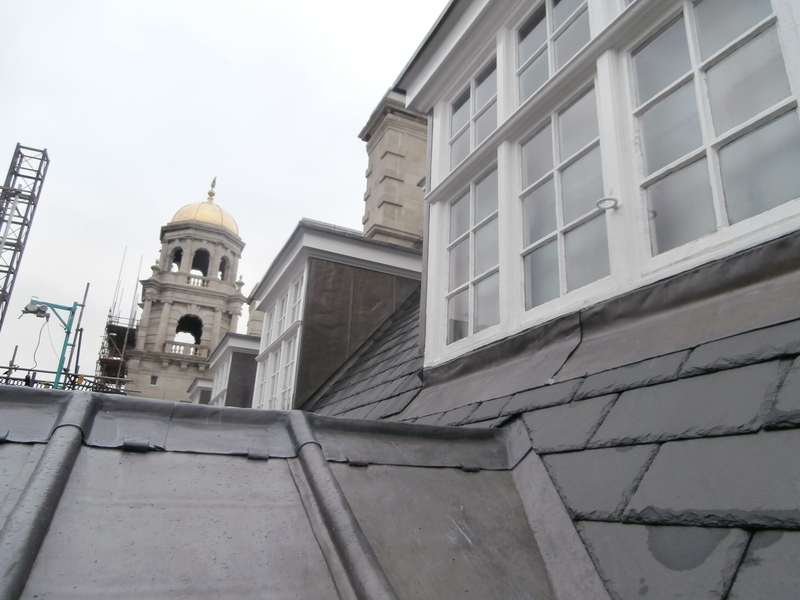 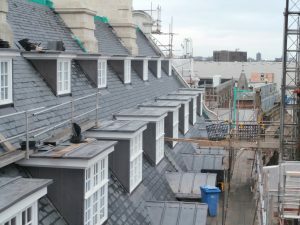 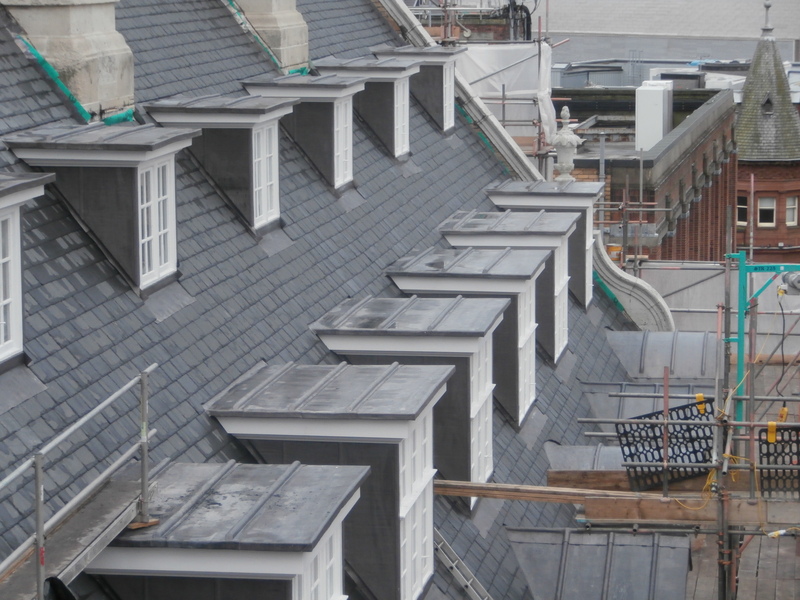 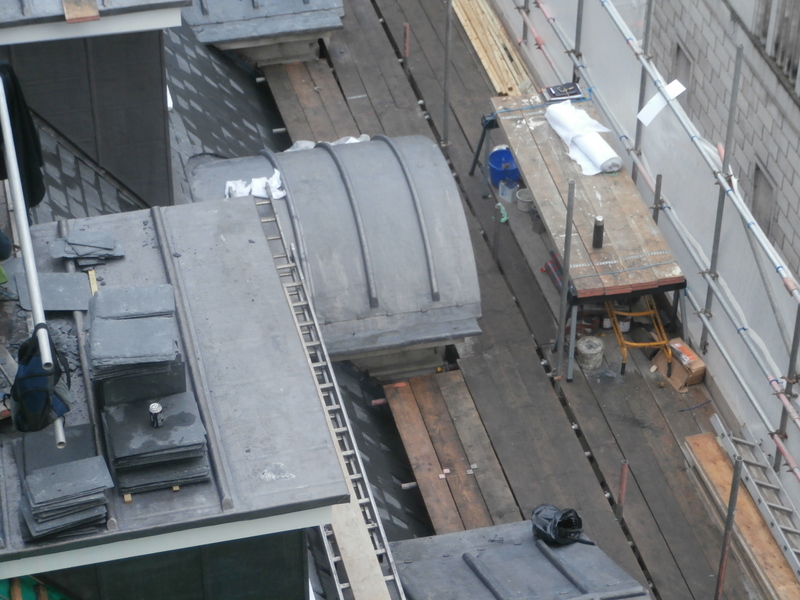 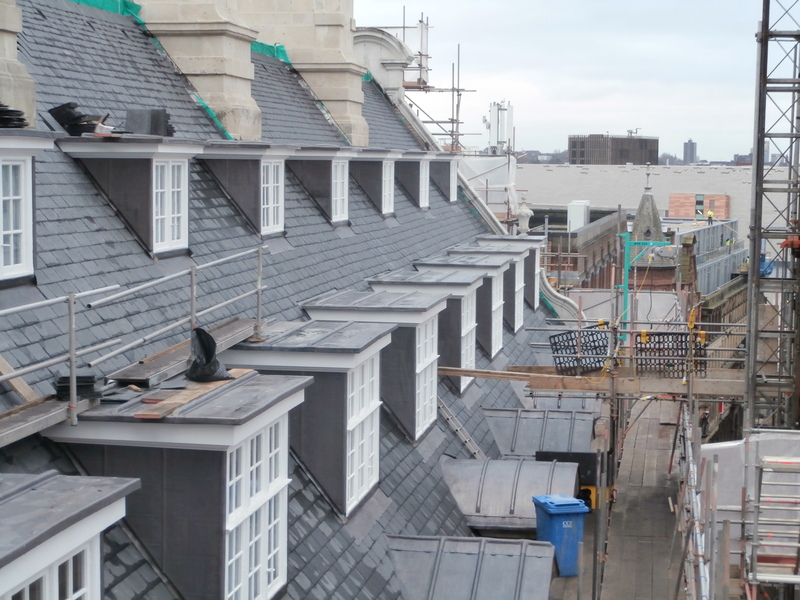 The project involved the re-roofing of a listed building in Liverpool Town Centre, which was to be converted into a 4 Star hotel. 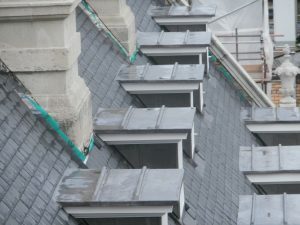 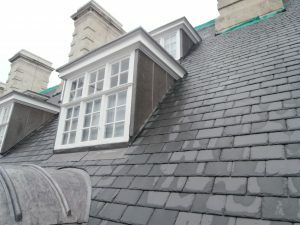 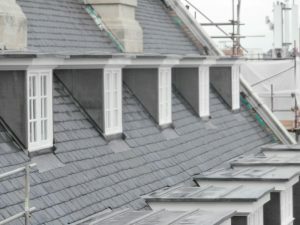 Balfour Beatty approached Jennings Roofing due to their reputation for high quality slating and leadwork. The existing covering was Cumberland slate in diminishing courses and widths, incorporating lead covered timber dormer roofs and cheeks, along with various other items of leadwork. 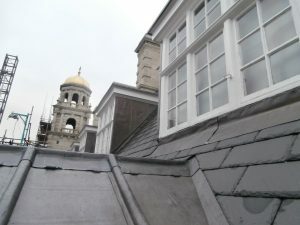 Prior to commencement, Jennings senior management had to attend site on several occasions with regards the Architects requirements in relation to fixing requirements and leadwork, due to building height and ventilation and his wish that as near as possible the roof matched exactly the original layout. 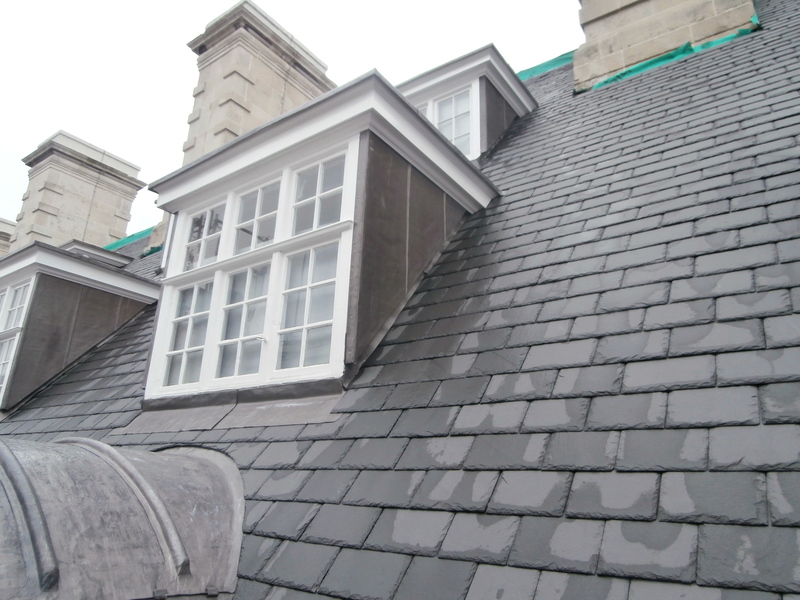 The first special requirement was that the slate coursing matched exactly the existing being removed. 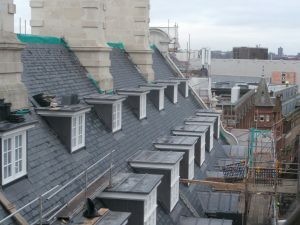 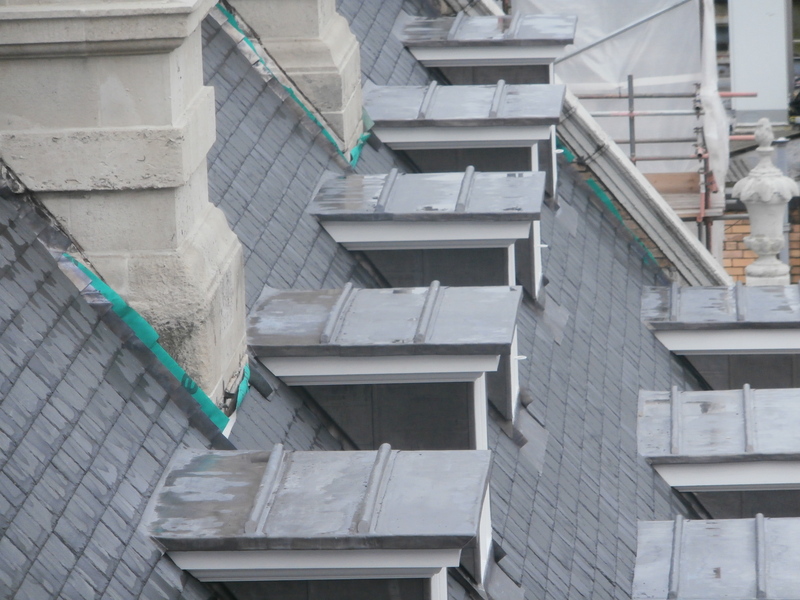 We had to work out the number of courses required of each variation of slate size and then order sufficient tonnage of Burlington to match the existing roof.